Here's the second installment of my Toronto Discographies series for local showpaper / esoteric monthly Offerings. You can pick up the hard copy in this months edition at local jive spots and musical paraphernalia hubs across the Hipper Toronto Area. Zacht Automaat fell from the sky, or so it felt one day last year. What other explanation might one have for a band that does not exist... and then suddenly does and before you know it has unleashed hours of record quality material? The genesis defies logic as easily as the music itself evades categorization. On first listen you might be forgiven for assuming the recordings were unearthed Faust jams, or Baroque Psych demos or more likely a mix-tape combining the two with yet further archival treasures of disparate genres past, even still you would be wrong. In truth the music sprung from the minds of a pair of collaborators Toronto off-beat enthusiasts will have already heard of. 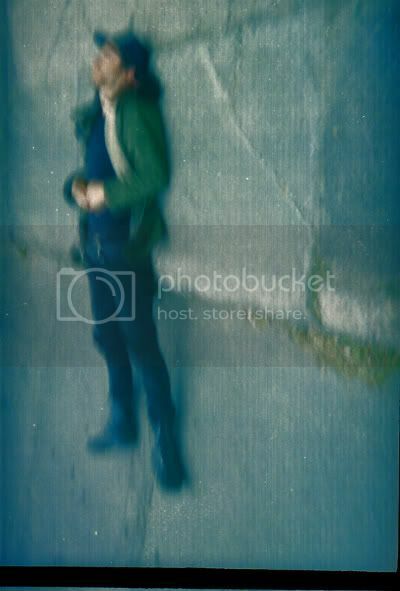 'Heads' will no doubt recognize Carl Didur's enigmatic tones from the absolutely seminal (for my high-school-dollar) No Dynamics, not to mention the sorely missed shambling carnival-psych of Rozasia. In recent years Carl has hypnotized attendees of Against Life & Extermination Nights past with hypnotic displays of tape loop precision. 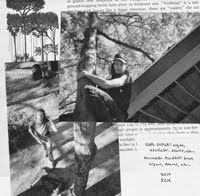 However, none of these projects shed as much light on his current incarnation as his excursions into capital Pee Prog Rock as The Battleship Ethel, a collaboration with Zacht Automaat band-mate Michael McLean. TBE's Soft Machine worship (ZA literally translates into soft machine in Dutch) transported you to Canterbury before going cosmic with astounding riffery and maddening levels of musicianship. Sadly, all of these projects (save Didur's solo output) have come to a close in giving way for Zacht Automaat. *A quick note on format: Upon release none of the records discussed below were broken into separate tracks. All records except two were broken only into a side A, and a side B. The remaining two albums are downloaded as a single file. This accounts for my reference of specific times in several instances rather than track names (which don't currently exist). The first of the Medusa tapes, this record and its successor form the centre showpiece of the series. The albumopens with a hymn like organ poem, its synthetic humming sound vaguely reminiscent of Bowie's Low (Side 2) in its gentle mixture of kraut texture and mysterious religiosity. 4 minutes in the opening meditation is violently tossed aside in favour of a chugging Residents do Jazz! exposition, keyboard virtuosity abounds. 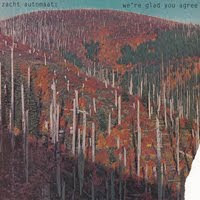 Next up we are witness to Zacht Automaat's first resounding masterpiece. Ascending organ figures cannon over military snares. Humming-in, a children's melody floats up on echoed glockenspiel, a keyboard does it's best impression of a tuba, the song begins to bubble over with it's own exuberance until 2 and a half minutes in a feral squeal of feedback coupled with pulsing floor tom interrupts and savagely has its way with us. Just as suddenly an extraterrestrial electric piano loop majestically swoops down before absolutely blasting off with a beautifully produced segment of cosmic jazz. Inscrutably titled 'Sterling's Over,' this epic forms the Automaat's only side long track, a keyboard symphony of classical proportion. The song quickly establishes a set of themes whose variations last an attention-holding 19:31. Smoothly transitioning from drum machine to live drums and back, a barrage of endlessly arpegiatting keyboards weave themselves in and around an elated series of melodies before coming to a triumphant conclusion that appropriately fades out to the sputtering sounds of a Roland Space Echo (the unofficial third member). Sterling's Over represents a level of compositional ambition that seems hardly ever to rear its head in contemporary music. Not to suggest that side long tracks aren't attempted (a psych record rite of passage), but rarely do they arrive so tightly coiled and precisely constructed. The third release in the trilogy of tapes released by Medusa (all nicely designed and screened by Jacob Horwood), ICFTMIM stands as somewhat of an anomaly in the ZA catalogue. Digital listeners may see it as something of a challenge as the album is the only one composed of original material that is not broken up into two sides, but plays (outside of the tape release) as a single track. 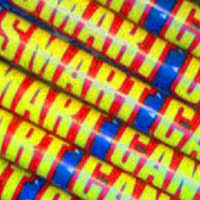 Something else to consider is that the record comes hot on the heels of the epic We're Glad You Agree / Smart Candle sessions - some of the heaviest kosmiche psych this side of early 70's Cologne (you'll think I'm exaggerating until you ingest these albums). The reality is that with diligent listening Mold reveals it's subtle powers. Hi-lites include an absolutely mind warping section of splintered concrete-jazz fuckery at 18 minutes followed by a quintessentially heavy bass riff on McLean's end. A swampy early segment with combined acoustic & electric guitar riffage forges an acid folk look that is totally fascinating and unique in their discography. As It Is Spoken continues the trend of opening ZA albums with a brief beautiful keyboard melody that seems elemental in it's catchiness, as if it has always existed. We get straight to the business with an invigorating bit of modal key-bop interjected periodically with a violent Doom riff that plays out for much of the first side. Schizophrenically this savage opening soon gives way to some of the most beautiful keyboard music you could hope to encounter. Heard live earlier in the year (the Slim Twig band and Zacht Automaat played a couple shows together), the song at 11:15 was an honestly breathtaking hi-lite in a fantastic set. Achingly expressive melodies tumble forth, one after the other with hardly a moment to repeat themselves as a stately bass line pulses serenely below. The scope is purely baroque, the mood vividly melancholy as if the melodies were written in a heat of desire to return to a state of being knowingly passed. The side closes out with two further pieces composed of alternately dainty and moody melodies, a truly rich passage. While AIIS, SISBD presents some of the most challenging improvisatory passages of the Automaat oeuvre, lurking in the shadows are some of the most beautiful music they have yet committed. 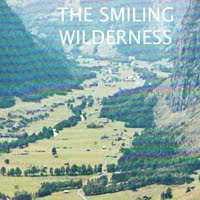 Appropriately titled, The Smiling Wilderness represents ZA's pastoral album, most easily comparable to Cluster's Sowiesoso or their farm setting collaborations with Eno. Except for a freewheeling passage in the middle section the entire first side is taken up with gently droning tones accompanied by drowsy keyboard trills, much of it set against calming nature sounds. 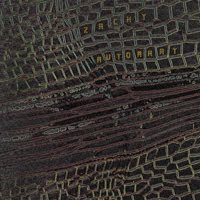 After Zacht Automaat at their most lullaby-like side 2 opens with a more electric gesture. Pulsing a hammered note from a dying organ, even at it's most dissonant The Smiling Wilderness can't help but evoke the workman like repetition of an ant colony or some other natural form of cyclical erosion. Following the bands most neanderthal moment comes a contrasting theme of technical ingenuity, as Didur's mixing comes directly to the forefront of the next track. Over a simple arpeggiated organ hum float several different textures of varying degrees of insectual connotation, floating in and diving out as if in a swarm, everything in it's proper pocket yet always in perpetual motion. A virtuosic foreshadowing of the kind of technical inspiration that defines the opening of their last record glides to an end as the record lazily drifts to it's own conclusion. 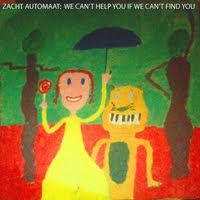 Zacht Automaat represents to me the seamless culmination of several strands of outsider art-music. Sun Ra's space jazz, Soft Machine's Canterbury Prog, Delia Derbyshire's tape loop machinations, the Residents synth based alternative pop universe, Kosmiche experimentation, the clarity of harpsichord driven baroque rock confronted by the dusty murk of the other end of the 60's psych spectrum. 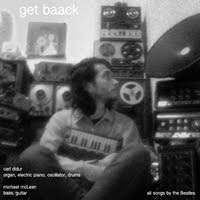 In this light it may seem puzzling that Didur and McLean choose to represent themselves among those re-interpreters of the world's most famous Pop moneybags (Get Baack is entirely composed of Beatles covers). I speculate their decision stemmed not only from the challenge of re-illuminating the rote, but also by a genuine kinship in the glory of melody that the Fabs so revelled in. Though the 6 preceding ZA albums do display virtuosic exhibitions of dissonant jammage, equally prominent is a desire to engage listeners with a brightly crafted sense of melody somewhat sympathetic to J, P, G & R's populism. 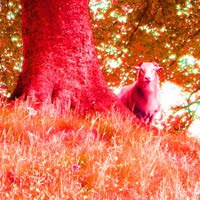 Get Baack presents an opportunity for a new listener to become accustomed with the world of Zacht Automaat (in their unique arrangement ideas, their blend of the synthetic & organic, their organization of songs) through some of the most friendly melodies of all time. For the Automaat fanatic, GB serves as a wonderful stop-gap EP embellished with appropriately sorrowful takes on classics like Long Long Long, Julia & perhaps the heaviest version of Yesterday yet laid to tape.